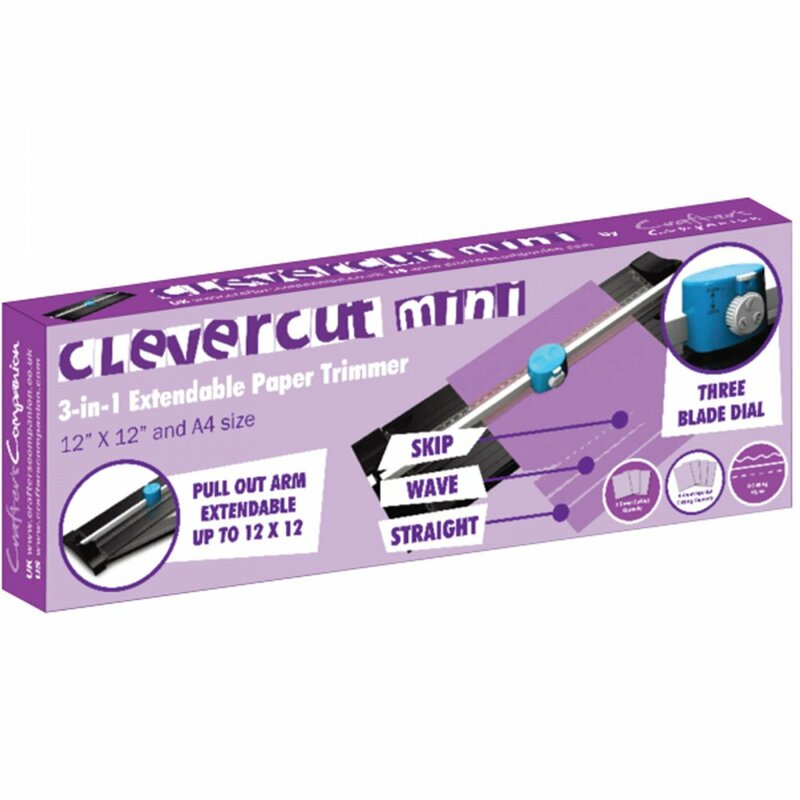 The Clevercut Mini is the 3-in-1 extendable rotary paper trimmer which allows you to cut straight, wavy and perforated lines. It has three in-built interchangeable blades on an easy to switch rotary dial. The mini guillotine has an extendable arm allowing you to cut up to 12" x 12" papers making it ideal for all your papercrafting, cardmaking and scrapbooking projects.